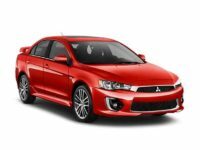 If you have always wanted to drive a Mitsubishi, now is the time to get in touch with the team at Lease A Car NY to secure an affordable Mitsubishi lease in NY. Unlike other auto leasing companies, we are not restricted to a physical car lot and we do not limit your vehicle options. In fact, we work with all vehicle manufacturers to be able to provide you with the very model vehicle you want at a ridiculously affordable price. From Mitsubishi car leasing in NY to leasing any other manufacturer, we make sure your options are plentiful. Call our office today at 347-269-2315. When you work with us, we always place our customers above all else and have made the lease process fast, easy, and understandable. We have worked so hard to get you great terms that you can lease (Mitsubishi) in NY with us, with little to no money down. 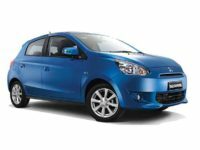 Once you have chosen the model of Mitsubishi you want, we will deliver it right to your doorstep. You are never expected to go out of your way just to lease a vehicle from us. Our team prides itself on being able to offer you the best Mitsubishi leasing deals in NY and the lowest prices around. Since we do not have to worry about the overhead that other companies do, we are able to pass the savings down to you. We do this because we believe that car leases in NY should be affordable. When you choose to work with us, you will not only receive some of the fairest pricing, you will receive incredible lease terms that no one else dares to offer. We will tirelessly work to make sure you are happy with the terms you receive. Mitsubishi car leasing in NY is made possible because of our relationships with car manufacturers and our team members’ commitments not to stop working as hard as they can. We will work alongside of you to ensure you receive an affordable monthly payment and a low interest rate that makes sense. Once we have secured financing for you, we will then start the process to ensure you have a low monthly term, higher annual mileage limits, and more. 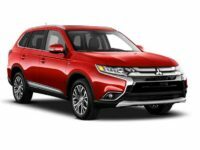 Call Lease A Car NY at 347-269-2315 to learn about our new Mitsubishi deals in NY and to learn just how you can get into a new lease vehicle today. We are committed to providing you with the best service and our team members will even help you choose the best vehicle that meets your needs. We take care of the entire lease process from start to finish for your convenience.